Japan's Prime Minister Shinzo Abe will make a historic visit to Darwin this November to help cement modern day relations with Australia. 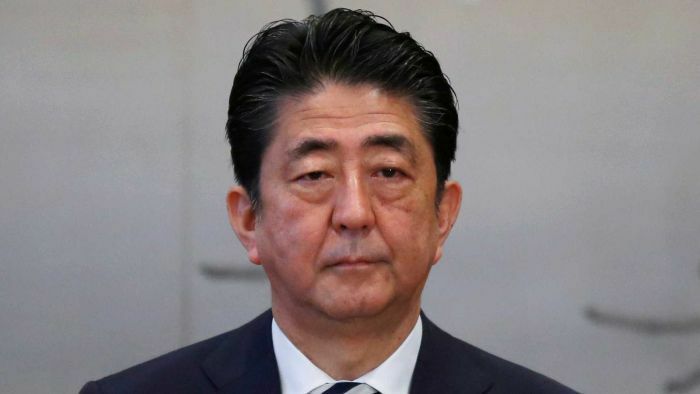 Shinzo Abe is scheduled to be welcomed to the Northern Territory by Prime Minister Scott Morrison in November, before both men fly to Port Moresby for the APEC meeting of regional leaders. Japan's massive $34 billion INPEX gas pipeline project will be the focus of Mr Abe's visit, but closer military ties are also expected to be high on the agenda when the two leaders meet. Mr Abe's is the first visit to Darwin by a Japanese leader since forces struck the key military port, killing more than 250 people across multiple bombings in 1942 and 1943. Top end diplomatic tango: Japan and US compete for attention. In mid-November Australia's top end will be the stopover point for regional leaders straddling two major meetings, the East Asia Summit in Singapore and the APEC gathering in Port Moresby a few days later. The ABC can reveal that during the brief period between the two summits, United States Vice-President Mike Pence will stay in Cairns, at the same time that Mr Morrison hosts his Japanese counterpart in Darwin. Mr Pence, who met with Mr Turnbull during a visit to Sydney in 2017, is expected to fly into the APEC summit each day from northern Queensland rather than staying overnight in Port Moresby.